Skills Certified and our training partners can help you obtain an RPL Certificate III in Painting & Decorating, using evidence of prior learning as a basis. The Certficate III in Painting and Decorating (CPC30611) qualification and trade skills recognition and prior learning program is available to local painters with extensive experience, or local students who have only completed partial studies. A fast-track program is available to migrants who wish to convert their overseas qualifications into an Australian recognised certificate. As such an applicant you must demonstrate that you have the required understanding of Australian requirements and standards. Once qualified, you may apply for a painting contractor's licence. To qualify for this certificate, you’ll be required to produce documentation proving that you have skills and knowledge equal to the learning outcomes of a course. This documentation can take a variety of forms. Being able to show that you are currently working at an equivalent level through a résumé (your student support representative can help you prepare your CV), a letter of employment or an employment contract is valuable. Additionally, documents you’ve received from past work or study such as letters of reference from licensed tradespeople you’ve worked with, apprenticeship papers, transcripts or assessment from relevant previous qualifications contribute to the RPL process. Evidence of overseas qualifications or video or photographic evidence of your work is also acceptable. With a Certificate III in Painting and Decorating (CPC30611) you’ll be able to apply for employment in a variety of fields including painting contractors and decorators. 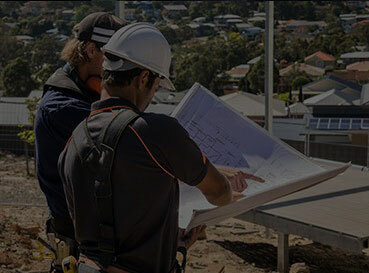 Our institution offers tradespeople across Australia the chance to convert their existing knowledge and talents into a nationally-recognised qualification. Within four weeks of us receiving evidence of learning, you’ll be carrying a respected certification that will open doors in your industry. Skills Certified collaborates with Registered Training Organisations which have strong reputations for quality instruction and academic rigor. The best part is our money-back guarantee. If you are deemed not yet competent after providing the required evidence, you’ll be able to choose between receiving a full refund of any fees you’ve paid and free gap training to get you up to speed.